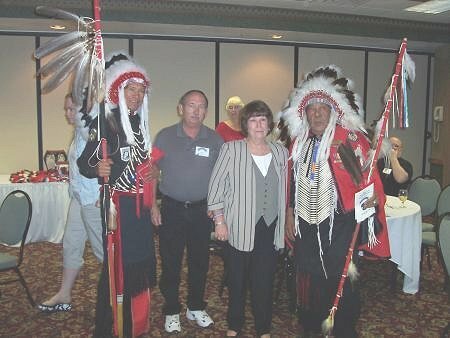 2004 CTT Reunion OKC, OK photos from Ron Eitel and Chuck Steward as indicated. Thanks to Ron for the hard work on the get-together. Georg Hessenius, Gary Morris, Kenneth Goss, Ron Eitel. They served with the 65th IPCT attached to the 9th Infantry Division. Pat Yeomans, Chuck Steward, Arville Hillhouse. Pat and Arville served in the CTT of Korea and were located by Chuck. 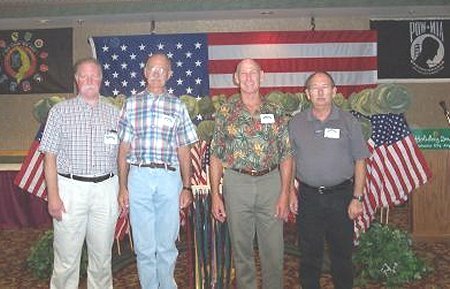 Wendell Taylor, Don Tillery, Chuck Steward served with the 557th IPCT attached to the 101st ABN. This photo is from Chuck Steward. 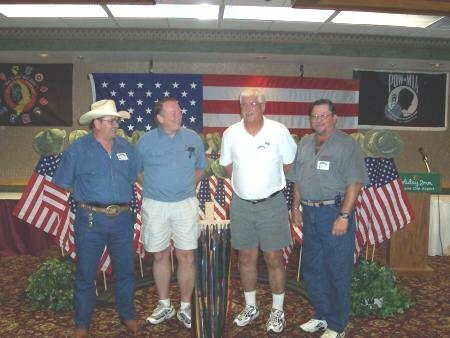 From left to right, Jerry Pritchett, Robert Miller, Alan Davis, and Chuck Steward. All serviced with the 61st IPCT. Frenchy La Farlette, Tom Niggermeyer, Steve Cradick, and John Dupla. 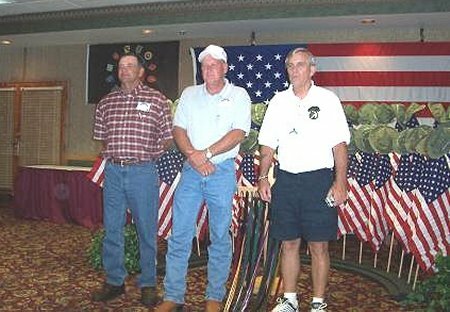 They were members of CTT#7,CTT#8 and the 62 IPCT attached to the 1st Cav. 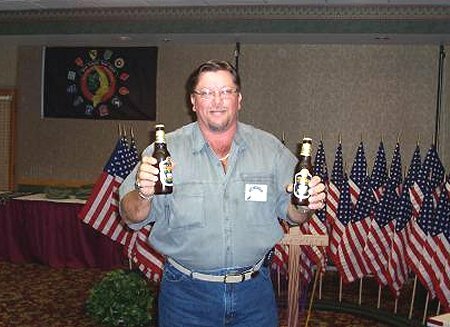 John Dupla and His Tiger Beer He Gave Away to the Trackers. Why not "33" for next year? This and the next photo are from Robert Miller. Time for some one on one reflection. Mike Landers is on the right. Robert and Jan Miller's new rig with Tracker art work. Note the "hound" in the cab. 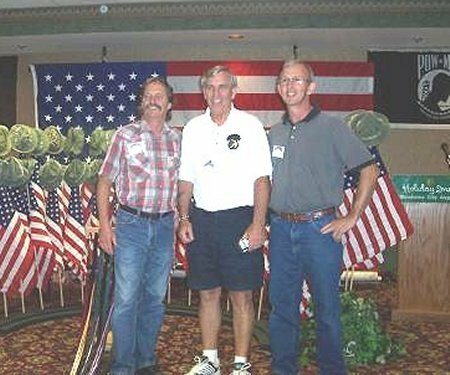 Left to Right - Front kneeling: Jerry Pritchett, Robert Miller. 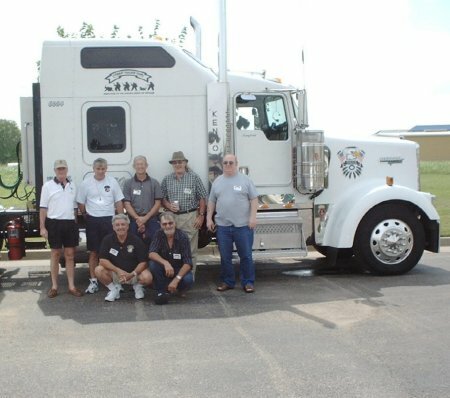 Back: Ed Wheeler, Chuck Steward, Arville Hillhouse, ?, Charles Cherry.